When was the last time you were called by a company at an inconvenient time? For me, unfortunately, it was this past weekend—and ended with pancake batter all over my dog. Last week, I began the tedious task of researching graduate schools. I browsed a few sites and requested more information on the program at a local college’s website—filling in the required phone number field, but requesting email communication only (since I’m still in the works of compiling my research and not yet ready to speak with anyone). However, at 8 a.m. on a Saturday morning, I still received a call from a college advisor wanting to speak to me about the program I was interested in. Needless to say, I quickly became annoyed. Of course, the advisor didn’t know that I had pancakes burning, dogs barking at the door, and three kids on three different levels of the house shouting for me. But they still called—on their time—and assumed I’d be ready for a conversation, which is extremely off-putting. The call didn’t end well. And I unsuccessfully juggled a bowl of pancake batter and my cell phone (while flipping bacon), so the dog ended up with our breakfast. I politely let the advisor know I wasn’t interested in speaking any longer, and that school just moved to the bottom of my interest list. I had looked past their poorly designed website—strike one. Strike two was requiring I request more information on their programs, instead of having that information available for my immediate consumption on their website. And the final strike—not treating me with a personalized experience tailored to my requested needs. In retrospect, how could that school have kept my interest? How could they have learned more about what I was interested in to tailor the subsequent information they send me? Easy answer: move from outbound to inbound marketing. They need to work harder at making it easier for prospective students to gather research, and make their website more valuable to end users. HubSpot is the leader in inbound marketing and is one software that could solve that problem. The software also generates reports on your website analytics to help you make more well-informed decisions on your content and SEO strategies, which are useful in determining your ROI. HubSpot is centered around inbound marketing and the modern buyer. Sure, you want visitors on your site learning more about your services or products, but what makes you different from your competition? How do you really speak to your customers in a way that makes them respond and remember you? Simple—give them more than they ask for, and delight them. And HubSpot wants to help you do this. However, it is absolutely important to clarify: HubSpot will not do this for you. It is not a one-and-done software that takes a few hours to configure, then you leave it alone and expect results. Using HubSpot requires education, dedication, and constant iteration. Sidenote: HubSpot sets the bar on marketing education. They host a library of live webinars, recorded trainings, conversational blogs and industry best practices, all in one place. 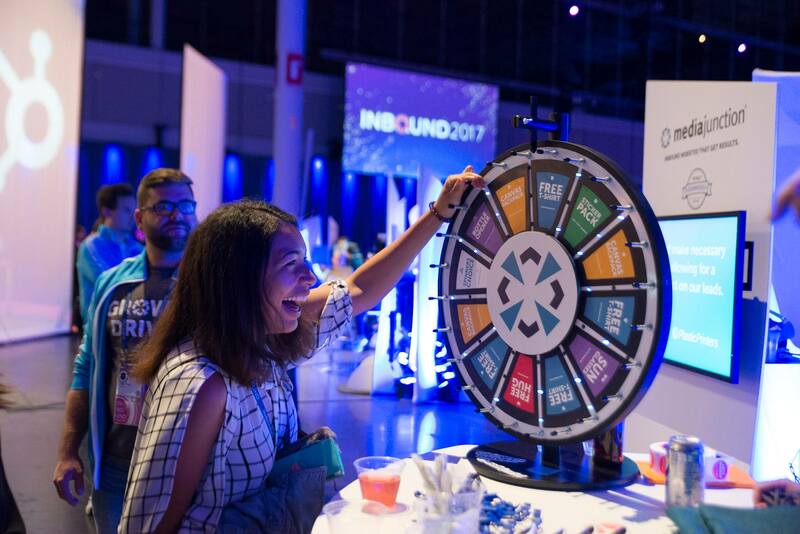 Who Is HubSpot a Good Fit For? As I mentioned, HubSpot is not a one-and-done tool and should not be undertaken by someone not dedicated to learning and using it. Those who have criticized it usually don't have a full understanding of it and expect to see results that same month. Turning your website traffic into leads, then turning those leads into your customers can be done using HubSpot's tools, but it is a process completed over time. Let's say you oversee your marketing department and want your website to provide more value by drawing in customers. You create blog posts and other solid content, and your site is covered in call-to-actions (CTAs), but your sales team isn't getting the results they want. What went wrong? With the right training, you would use HubSpot's analytics to troubleshoot your website traffic. Armed with that data, you go back to your blog posts and optimize them for search engines, then create supporting landing pages for the most valuable content, and improve your CTAs. Once your content is setup, you share it across social media channels. You watch your analytics improve over time, and devise automated workflows that save hours out of your week. Recognizing the value of HubSpot doesn't always mean you need to dedicate the months of learning to conquer it. Let's say your company has a new website. As the CEO, you know you need to provide value beyond a just-the-facts website, and are curious about inbound marketing. Faced with high turnover, you're starting your marketing department from the ground up. You've read reviews on HubSpot and you've seen how it works for other companies, and now you're ready to bring in the professionals. Whether you’re a CEO wanting to entrust your website to the experts, or a marketing leader seeking some guidance, HubSpot offers a Partner Directory of agencies across the country for you to work with—complete with real client testimonials from those who have been in your seat. What Can HubSpot Give You? In a recent report created from customer survey responses and customer web data, 79% of HubSpot customers reported an increase in sales revenue. Additionally, at the end of every month HubSpot sends a Marketing Performance email with highlights of your hard work. You can even download a fully fledged PowerPoint that details your visits, leads, and customers—identifying trends, showing your top performing pages, and more. And it can easily be brought into a company marketing meeting, ready to show off (because who doesn’t want to gloat just a little). 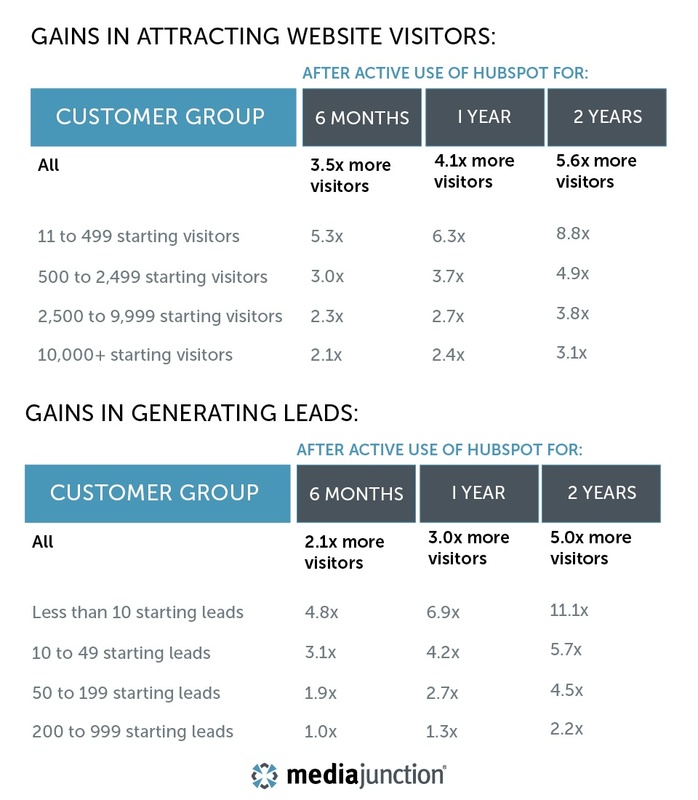 How Can You Get More out of HubSpot? As mentioned, HubSpot sets the bar on customer education. HubSpot Academy provides certifications on everything from inbound marketing fundamentals to inbound sales to HubSpot design. They actively want you to succeed in using HubSpot, or at least to ask the right questions when working with an agency! And, as a customer you’ll have access to an entire library of resources to learn about ebooks, work off templates, and read about the latest stats on inbound marketing. These resources are a great launchpad for improving your content and learning more about marketing in general. HubSpot offers a 30 day free trial to try out these tools. They even promise no credit card or commitment is required. We all know the best way to learn is to get your hands dirty, so if you’re ready to begin inbound marketing, just dive in! Media Junction is also here to help. As a HubSpot Diamond partner we can work as an extension of your marketing team, or just be the experts you can depend on. Just think of who your company could reach if you offered personalized information for your website visitors. If the college I dismissed followed inbound marketing best practices, I’d be warming up to them and be ready to start a conversation. As it stands, I’ll just move to the next college on my list and hope their marketing practices are better.